Get that heart rate going and boost your metabolism with a selection of fat-burning classes at Flex. Their special package for the New Year includes 12 classes of your choice of Ab blast, Fat Burn, BLT and Xtend Barre for just HK$2,100. Choose from classes at their Central or Aberdeen location. 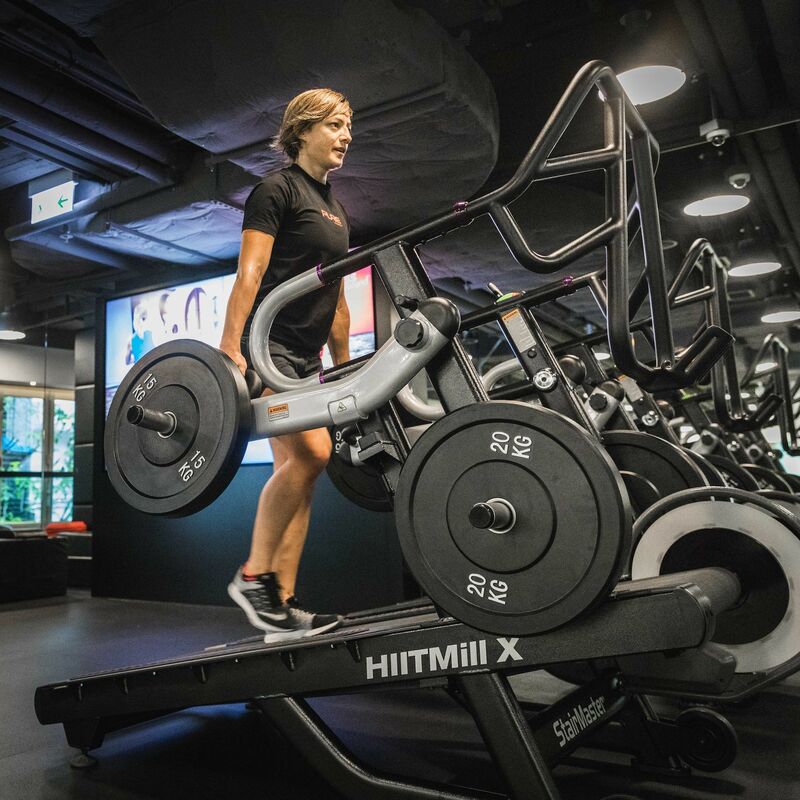 From now till February 13, 2018, Ultimate Performance Causeway Bay is offering a 15-day personal training plan at a third of their regular rates. The package includes 10 sessions to be used on any day (including a twice-a-day option) over a 15-day period. This comes with personalised advice on diet, supplements and hormonal modulation from your own UP personal trainer—all for the price of HK$8,888. Ask A Trainer: How Do I Lose Belly Fat Fast? Ask A Trainer: What's The Best Exercise For Shoulders? Get a taste of Hong Kong's popular chain gym Pure with their annual Power Pack package. For HK$1,388, you’ll get a month’s access to all Pure Fitness and Pure Yoga locations, giving you no excuse not to workout. The Power Pack also includes two HK$200 vouchers for nood food and Pure Apparel, plus two guest passes so you can bring friends along. Pure’s Power Packs are available for sale until February 28, 2018 and must be activated on or before March 31, 2018. For fans of high-intensity functional training, F45 is running another eight-week challenge from January 29 to March 25, with daily meal plans and recipes, weekly blogs and videos, and a 45 point plan for success. With 27 existing 45-minute workouts and a database of over 3,000 different exercises, you’ll keep your body guessing as you grow muscle and shed fat. Choose from F45 studios in Central, Wan Chai, Sheung Wan and Taikoo. Improve your posture, strengthen your spine and lengthen your limbs with a combination of pilates and Gyrotonic classes at Iso Fit, conveniently located on Central’s Wyndham Street. For the month of January, Isofit is taking 25 percent off their regular class and assessment prices for their “Kickstart” promo. Choose from private or semi-private studio classes, or group classes with equipment or mat-only. Packages can also be bought with special “Kickstart” rates. This deal is for Iso Fit newbies only and all assessments must be taken before February 15, 2018.